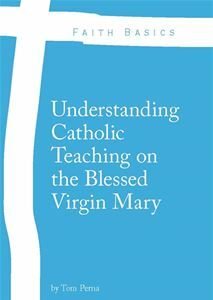 Over the past four weeks on Sunday nights, I have been teaching a class titled, A Catholic Understanding of the Bible, for the Institute of Catholic Theology at St. Thomas the Apostle Catholic Church in Phoenix, Arizona. As I was finishing up last night’s class, in the back of my mind was today’s “Mondays with Mary” since I said to the participants, as Catholics, we should look to the Blessed Virgin Mary as the perfect example of knowing God’s word. Her fiat at the Annunciation should be on each of our lips when it comes to the Word of God. We all should have the same zeal and affirmation that our Blessed Mother had when the Angel of Gabriel came to her declaring that she would bear a son through the power of the Holy Spirit. In regards to the Scriptures, we need to say, Yes, as Mary said yes to God. If we embrace the Scriptures as Mary embraced God’s will in her life, then there is no saying what Our Lord will give to us through sacramental grace and knowledge of the Holy Word of God. Mother of the Word Incarnate…Pray for Us.